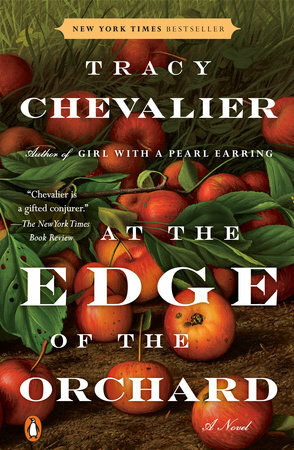 Midwestern Gothic staffer Kristina Perkins talked with author Tracy Chevalier about At the Edge of the Orchard, writing in a historical context, being an immigrant in England, and more. Tracy Chevalier: I am an East Coast gal – grew up in Washington DC – but I went to Oberlin College in Ohio in the 1980s, and that seems to have found its way into my writing. Possibly that’s because since graduating from Oberlin I’ve lived in England, so when writing about the America I know, I have naturally reached out to Ohio. KP: Much of your newest novel, At the Edge of the Orchard, is set in Ohio’s Black Swamp during the early 1800s — a landscape filled with tension, disease, and poverty. How do you imagine the relationship between the novel’s depiction of life in 1800s Ohio and your understanding of contemporary Midwestern values? TC: In many ways the Midwest and 21st-century Americans are very very different from our ancestors who settled the country. Pioneers had hard lives, whether in Ohio or Missouri or California or Florida. Grueling lives spent trying to feed and clothe and shelter themselves. Most of us now don’t live off the land, almost entirely self-sufficient. We don’t spend most of our time outdoors; we’re warm and dry and ridiculously well fed and well rested, and we have plenty of time for leisure. In some ways Ohioan lives in the early 1800s are almost unrecognizable from ours. But humans are humans, and certain traits and values remain in the Midwest. Ohio in the 1800s was often not the destination, but the gateway to a destination, i.e. to the West. Yes, people settled. But lots passed through from the East Coast on their way to the wide open freedom of the West. Ohio was not and definitely is not like the East Coast. While it is no longer so transient as it was in the 19th century, it (and I think the rest of the Midwest) also does not shout loudly about itself the way the coasts do. It is more solid, more realistic maybe. It makes perfect sense to me that Ohio has always been seen as the state a presidential candidate has to win to be elected – though perhaps not 2016, an election where all bets were off! KP: At The Edge of the Orchard is your eighth historical fiction novel. As a writer, what is most compelling about historical fiction? What are the limitations of the genre, and what strategies do you use to grapple with these challenges? How do you navigate the space between teaching history and telling a story set in a particular historical moment? TC: I kind of fell into writing historical fiction, then discovered I preferred it because it allows me to get away from myself and my daily life. It also stretches me, makes me think about the world and my place in it in much broader terms. Of course it does have its limitations. It requires a huge amount of research to get the “feel” of the period right. But I love the research, as it gives me ideas as well as the time during which to develop the story and characters. It’s crucial though not to think that I am educating people about a certain people. Story and entertainment come first; the historical background is just that – background. Sometimes I’ll discover some juicy historical detail but can’t use it because it doesn’t add to the story I’m telling. It’s no good showing off all the research; I just have to absorb it so that the reader feels confident in me knowing what I’m talking about, even if I don’t spell it out. It’s a balancing act. KP: In a recent piece in The Telegraph, you note that “you need to be an outsider to write.” For you, what is it about being an “outsider” that lends itself to writing? How might your own mobility — namely, your migration from the United States to England — relate to the sort of westward expansion described in At the Edge of the Orchard? TC: I have lived in England as a foreigner all my adult life, and that has set me somewhat on the sidelines of the culture and society here. From there, however, I have a perspective that maybe makes me a little more objective than I might be if I were English, or were living in the US. When you’re in the middle of something, it’s often hard to gain any perspective on it. On the sidelines, you see things differently. With At the Edge of the Orchard, I played with that outsider status and mobility a bit with the characters, who are immigrants themselves. My being an immigrant in England made it easier to write about immigrants in the US, and that decide to move to find a better or different life. I understand that feeling, as well as the accompanying disappointment when you realize finally that moving doesn’t necessarily get you away from your problems – they often follow you, because they are in you. KP: You’ve openly discussed the path of your career as a writer, describing the progression from bookish child to uncertain teenager to best-selling author. Given this experience, what advice would you offer to young writers seeking first-time publication? What might you say to teenagers who question their ability to become authors? TC: I have two pieces of advice for teenagers – and everyone, really – who are looking to write and publish. 1. Only pursue it if you love books. I mean, REALLY love books. You should be always reading a book, always in bookstores, always reading reviews and book blogs. You should always be wanting books as presents. You should always be asking people what they’re reading rather than what they’re watching or listening to. You should be obsessed. Because if you aren’t, then you won’t have the drive to write. That point may seem obvious, but I’m amazed at the number of people I meet who say they’re writing a book, but when I ask them what they’re reading at the moment, say, “Oh, nothing, I don’t have time.” What?! That’s like a musician not listening to music, an actor not going to the theater or the movies. It makes no sense. 2. That old adage that writing is 10% inspiration, 90% perspiration? Totally true. If you want to write, you have to sit down and do it, day after day, confront the blank page and fill it. It’s hard, it’s boring sometimes, and it goes on and on. You have to do it anyway. 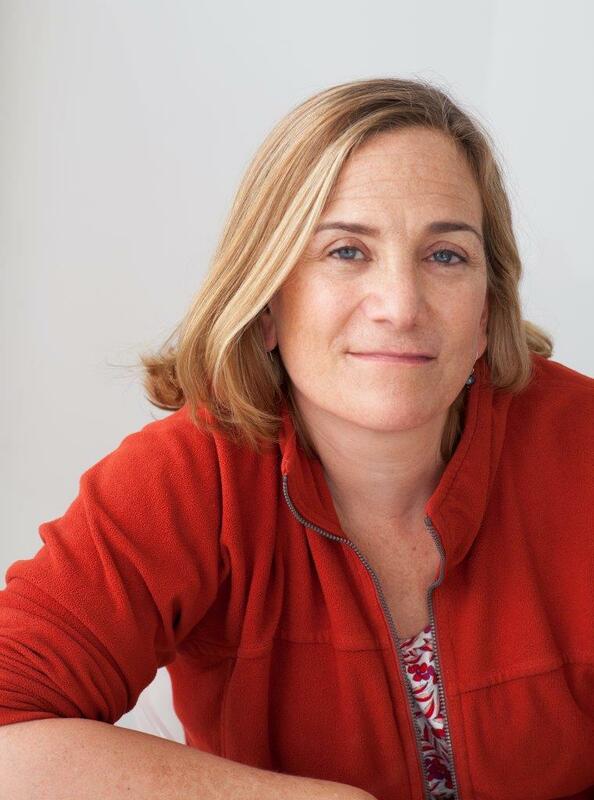 Tracy Chevalier was born in October 1962 and grew up in Washington, DC, moving to England after graduating with a BA in English from Oberlin College (Ohio). For several years she worked as a reference book editor, while writing short stories in her spare time. In 1993 she quit to do an MA in Creative Writing from the University of East Anglia (Norwich, England). Afterwards she juggled freelance editing with writing until eventually she was able to write full-time. Tracy lives in London with her English husband and son. She’s written 8 novels and edited 2 short story collections. Her second novel, Girl with a Pearl Earring, sold 5 million copies worldwide and was made into a film starring Colin Firth and Scarlett Johansson. Apart from writing, she’s curated three shows in art galleries/museums.